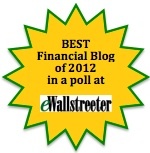 Will Ignorance Defense Continue to Screw Auction-Rate Securities Investors? Auction-rate securities investors remain at a decided disadvantage when it comes to pursuing legal claims. Misrepresentation by those distributing the auction-rate securities does not seem sufficient to warrant a claim, let alone retribution. The fact that investors are having difficulties bringing suit against Wall Street firms which distributed auction-rate securities should be further reason for investors to be cautious in engaging brokers and financial planners. Why? The fact that selected cases of auction-rate securities distribution have been designated as having occurred in a fraudulent fashion would seem to have established a significant precedent. The fact that the precedent has not been established is mind boggling. $149 BILLION in auction-rate securities held by thousands of investors remain frozen. Where’s the justice? The detonation of the bombs that have hit our economy may have been launched on Wall Street, but certainly the collateral damage has been experienced nationwide if not globally. While regulators were admittedly asleep at the wheel during these attacks, who in our country is now positioned to hold bankers and regulators accountable? The media? Please. Will regulators hold themselves truly accountable? Maybe on a going forward basis, at best. Then who? 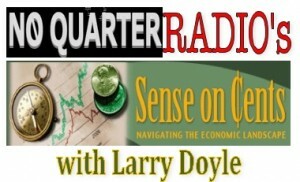 Please join me this Sunday October 18th from 8-9pm EDT for No Quarter Radio’s Sense on Cents with Larry Doyle as I welcome Richard Greenfield for what will assuredly be a riveting conversation. 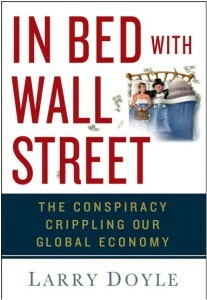 Who is Richard Greenfield and what areas of expertise does his firm Greenfield and Goodman occupy? Why am I so excited to have him on my show? Greenfield and Goodman concentrates its practice in complex financial litigation and, particularly, in corporate governance, banking, consumer rights and shareholder litigation. As a direct result of the efforts of the Firm and its predecessors, many millions of dollars have been recovered for defrauded investors and other persons injured by illegal corporate activities and obtained fundamental changes in corporate governance, particularly in the areas of control procedures and risk management. The Firm and its predecessors have also been responsible for obtaining a number of particularly noteworthy judicial opinions which have not only strengthened consumer and investor rights generally, but substantially aided in the prosecution of complex litigation to preserve such rights. RICHARD D. GREENFIELD has been admitted to practice before the Supreme Court of the United States, the Courts of Appeals for the Second, Third, Fifth, Ninth and Eleventh Circuits, various federal district courts, as well as the Courts of the Commonwealth of Pennsylvania, the State of New York and the State of Maryland. Mr. Greenfield is a 1965 graduate of the Cornell Law School, where he was awarded a J.D. In addition, he has earned degrees in Accounting (B.S. Queens College) and Business Administration (M.B.A. Columbia University Graduate School of Business). Mr. Greenfield is thoroughly experienced in banking, securities and consumer litigation, having served as Lead or Co-Lead Counsel for plaintiffs in shareholder class and derivative actions alleging violations of the federal securities laws and/or breaches of corporate governance standards, in class actions brought on behalf of trust beneficiaries against major trustee-banks as well as in a wide variety of banking and consumer fraud cases. Mr. Greenfield founded and was Senior Partner in a 48 lawyer Pennsylvania-based law firm that specialized in such litigation; it was disbanded in 1993. Rather than listing the major periodicals and news outlets in which Mr. Greenfield has been featured, it would be easier to list those in which he has not. In the midst of all of his other professional and philanthropic activities, Mr. Greenfield is currently representing Benchmark Financial, Standard Investment Chartered, and Amerivet Securities in complaints against the Wall Street self-regulatory organization FINRA. In the spirit of continually pursuing transparency and integrity along our economic landscape, please join me this Sunday evening for what will assuredly be a fascinating discussion with Richard Greenfield. This show, as with all of my shows, is taped and archived along with being available as a podcast on iTunes.